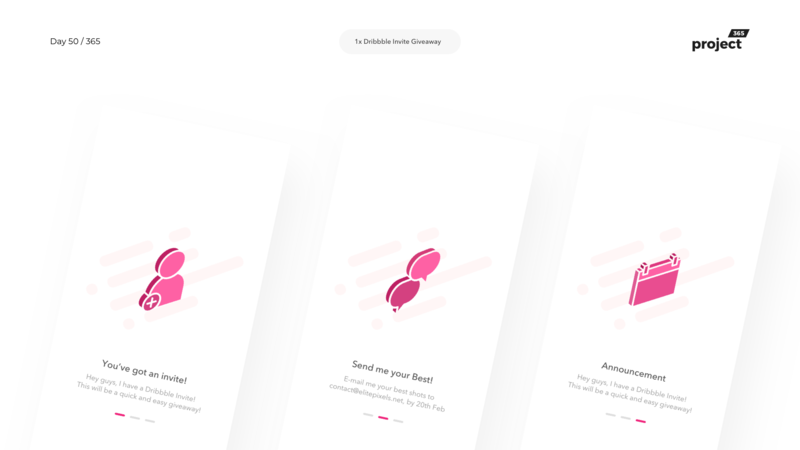 Brief: An interface to giveaway 1x Dribbble Account Invite! 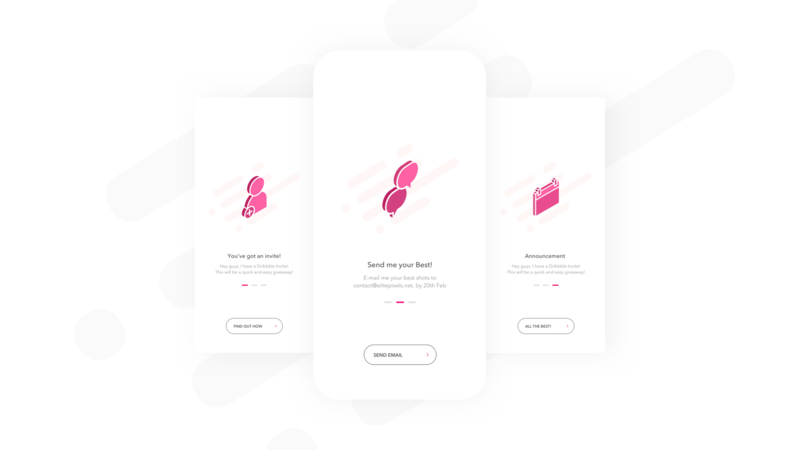 Hey guys, Today’s the 50th day of my Project365 and I’ve decided to give away one Dribbble invite to a fellow designer out there! Personally, I know the pain of getting one. I’ve myself waited years before getting an invite. Hopefully, one lucky person will get an Invite and get started with this wonderful design community! Send it in before Feb 20! Winners will be announced on Feb 21!